I’m back again with another sketch from Atlantic Hearts. For my card this week I used white cardstock to create a top folding card base. I then literally used scraps that I had laying on my desk from a previous project. The yellow polka dot patterned piece has been sitting in my stash of papers for so long that I cannot remember the label!! 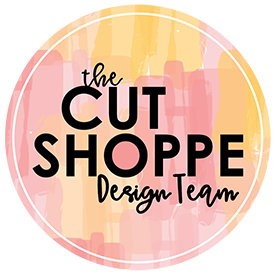 I cut it on a diagonal and tucked a torn piece of CTMH Georgie Patterned Paper underneath the yellow paper. For my focal image I cut the word “happy” from a Big Picture Classes die on CTMH Thistle Cardstock three times. I then layered the words on top of each other to create some dimension. 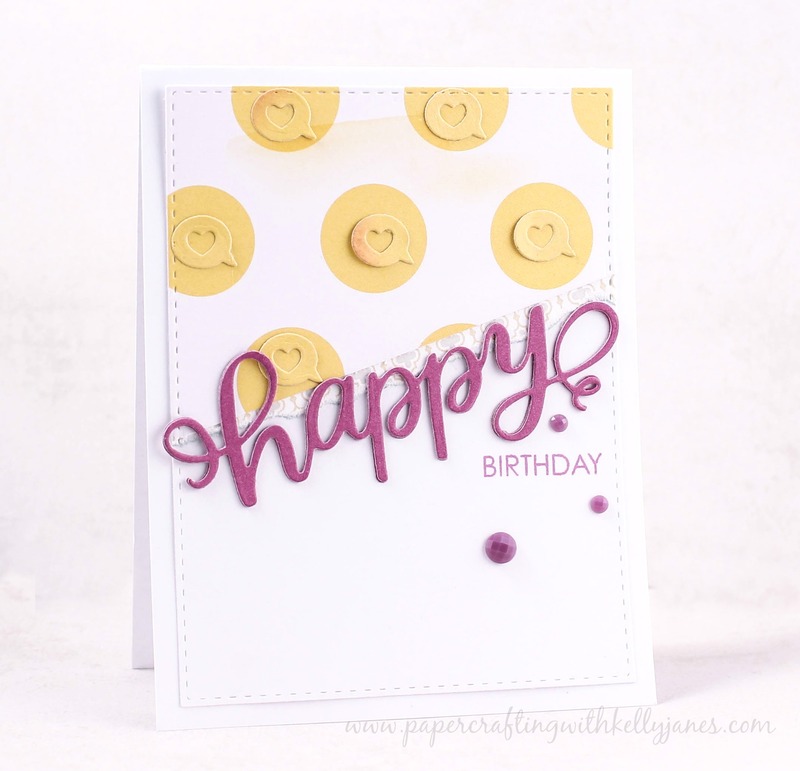 I then stamped the word “birthday” using a retired stamp set from CTMH in CTMH Thistle Exclusive Ink®. I also scattered purple sparkles around the sentiment. I cut a few speech bubbles using a Mama Elephant die and layered them over the yellow polka dots. I also used a Simon Says Stamp stitched rectangle die around the border. This gives a little more detail & depth to the card. 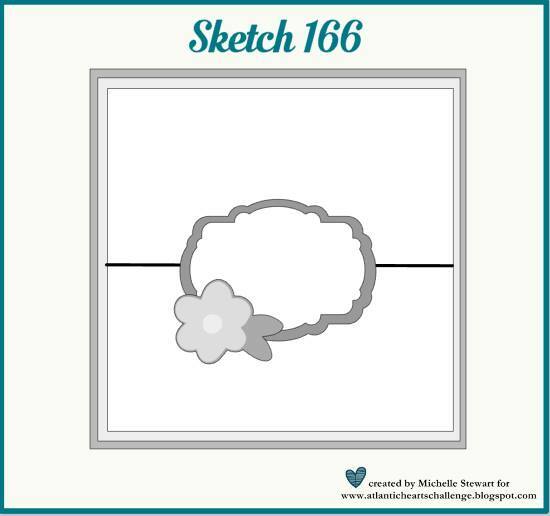 Now I hope you’ll head over to Atlantic Hearts Sketch Challenge to enter your papercrafting project based off Sketch #166.